In the wake of Hurricane Harvey and Irma–the devastation it has caused in Texas, in the Caribbean Islands, in Florida, and in the surrounding areas, there are no more important words than “volunteering”, “giving”, and “community”. Three big things that happen to you when you volunteer and/or give. First and foremost, volunteering and giving are esteem builders. Next, volunteering introduces the volunteer to a new set of skills. Lastly, volunteering is essential in building community. When one volunteers or gives to a cause greater than self, something internal happens to the mind and body. In simply terms, “You feel better”. Why? Because you extended yourself to something or someone beyond yourself. The intent is to help others who may not be in the position to help themselves. A euphoria happens, especially when your motivation is altruistic and not selfish. Christine Carter wrote in Psychology Today that people who volunteer, on average have less aches and pains. Also, giving help to others can protect overall health twice as much as aspirin can protect against heart disease. In other words, volunteering is a strong contributor to one’s overall health—the spiritual, emotional, and physical self. Moreover, when one volunteers he/she learns a new set of skills. 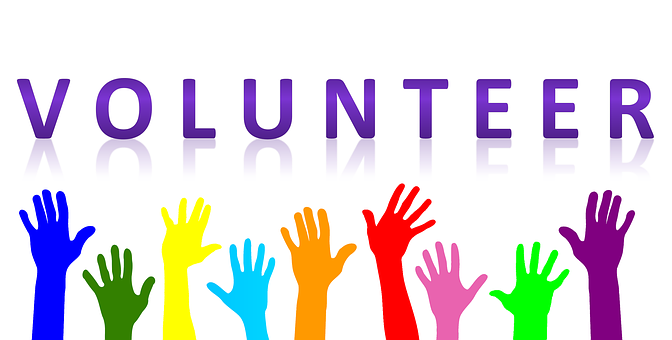 Volunteering is a process of learning, whether you are developing new hard skills like typing, writing, math, reading, carpentry, landscaping, horticulture, etc., or soft skills, like socializing, listening, communication skills, conflict resolution, life skills and mediation. Finally, volunteering is essential for the community. The simply definition of “community” is a social group of people who share common interests. Volunteering helps to foster the growth of a community through multiple sets of interaction. I remember reading a profound thought which came from the late Ella Baker, a Civil Rights leader and organizer who shared these words with Bob Moses, then a young 26-year old Harvard graduate student. Ella said, “If you really want to do something with somebody else, really want to work with that person, the first thing you have to do is to make a personal connection. You have to find out who it is that you are working with.” In other words, a community does not function positively unless people know each other and develop personal connections. Volunteering is the core of the community. Whether we are talking about going to the store for the elderly or the disabled, or sacrificing a Saturday to work in the community garden, volunteering helps us make these personal connections and learn about our fellow community member. Three years ago, I was at my church, in deep meditation and prayer. I was looking for guidance on the next steps in my life and how I might help my deteriorating and volatile community. You see, I had just retired months earlier as a long time principal in the Baltimore City School System. There was a knock on the church door. A man stood outside requesting to speak with me. He explain that he was gathering community support for a group of people who were opening a “Methadone Clinic” to support addiction recovery, which would be relatively close to 25th and Greenmount Avenue in Baltimore, Maryland. Initially, I thought this was a crazy and insane idea. If fact, my thoughts were, “Why would someone put a drug treatment center in my backyard?” The gentleman, who I knew from the community, was so sincere and kind, I listened and then agreed to meet with the group, however, I had no intention of attending. I spoke with my wife that evening and her words were so profound and simple. She said, “You should go, especially if this might help people.” I went to the meeting and listened. After the meeting, I was so impressed with their vision of an Integrated Health Center that would service individuals with addictions. I began to volunteer my services by attending zoning and town hall meetings, advocating additional integrating programs like, a GED program, vocational rehabilitation Baltimore services and career development, and residential housing programs. Volunteering led me to this feeling of euphoria because I was making a difference in my community! Several months after volunteering, I helped create the Concerted Care Foundation, Inc., a Non-Profit Organization. Its central theme is “volunteerism is a career path”.